The SA Derby course was originally designed by Pam Carruthers in 1965. She was at that time a world renowned course designer. The Derby first took place at the Inanda show grounds in Sandton, and remained there until the late ‘90s when it was moved to Kyalami Park, where it is held today. Alan Stacey redesigned the course to fit into the Bob Charter Arena at the new location, keeping the design as close to the original as possible. The main Derby course remains almost the same every year. However the course designer has the option to change heights, spreads and some of the distances. The most daunting obstacle for both horses and riders would be the Derby bank with a sheer drop of more than 2 meters. A huge test is the massive plank jump immediately after the bank, testing the horse and rider’s ability to balance themselves within the space of 2 strides. The highest jump on the course is number 16, the wall jump, which follows the water jump. This jump stands at a height of 1.67m. The devil’s dyke is also a very challenging obstacle as it is on the edge of the arena where horses can easily be distracted by the crowds. It is a test of bravery and balance, and requires careful jumping by the horse. The last jump, number 18, a big oxer with very light rustic poles, tests the horse’s scope as it comes at the end of a very long track and horses and riders are often tired by this stage. I started assisting in the arena at a very young age, as my father was a course designer. I think of course designing as a form of art, and as I am not a very good artist it is one place where I can express myself. It is always challenging coming up with new ideas, different types of lines, and jumps to challenge horses and riders. Traditionally every course designer would want 1 clear round in the Derby class, especially in the last year of course designing for the Derby track. However, I think for the spectators and the sponsors it becomes a more exciting event if there are 2 or 3 clear rounds resulting in a nail biting jump off. The Bob Charter arena is a very “spooky” arena. Many of the horses find it rather daunting as they do not get to jump in it too often. The fact that the arena is on 2 levels makes it quite difficult to jump up or down hill and it’s always an extra challenge, testing the horse’s balance. The branding around the arena can make it more “spooky” for the horses and because the huge crowd is right on the edge of the arena fence, jumps close to the fence to become an extra challenge as the crowds and noise can cause them to lose focus and concentration. My main objective is to build the horses’ confidence over the 5 days – so each day the course becomes a little more challenging. I try to use the whole arena so that by Derby day the horses have seen all the various aspects of the Derby in various forms leading up to the main event. However the Derby bank can only be used in the actual Derby class. Building for 3 consecutive years has become a tradition for the Derby course designer- this will be my third year. Most of the course stayed the same from 2016 to 2017 – a couple of the jumps went up by 5cm but one major change which I made in 2016 was to bring number 3, the large Liverpool, forward by 2 strides bringing it closer to the bottom of the hill, thus making that jump far more challenging. I have not jumped the Derby at the present venue, but did jump it at Inanda Country Base (the previous venue). It is a privilege to jump the Derby track, and a dream of most ambitious South African riders. Preparing for the Derby takes a great deal of preparation and fitness training, as it is the longest course jumped throughout the year and is also jumped at a faster pace than other competitions… It is a very long tiring course taking a huge amount of concentration and effort. I do not have horses competing this year, but as this is my last year of course design for the Derby I will hopefully compete again next year. Because the Derby is such a unique competition it is difficult to predict who the form horses and riders will be. However, there will be a number of previous Derby winners competing and any one of them would have a good chance of winning in my opinion. 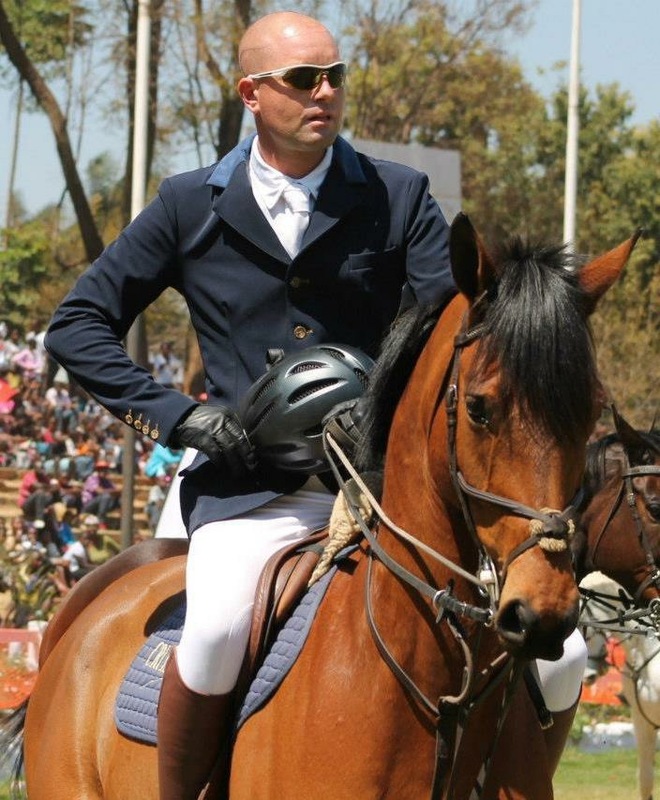 The post 2018 SA Derby Course Designer: Ryan Sander appeared first on HQ Magazine.